Many readers have requested online, interactive versions of The Wizard of Oz Vocabulary Builder and The Pinocchio Intermediate Vocabulary Builder. Now they are here! For each online story, simply read normally, but click on any word you don't know (each vocabulary word appears in red type). A new window will pop open with the word's definition, pronunciation, and part of speech. An additional usage example — an interesting, funny, or informative illustrative sentence that relates the word to something you're already familiar with — is included too! 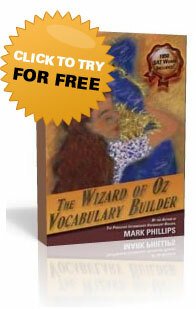 Click here to try out a free interactive sample from The Wizard of Oz Vocabulary Builder. View the complete word list (1,850 words) for The Wizard of Oz Vocabulary Builder. Click here to try out a free interactive sample from The Pinocchio Intermediate Vocabulary Builder. 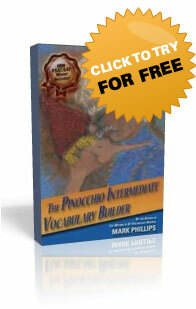 View the complete word list (1,000 words) for The Pinocchio Intermediate Vocabulary Builder.